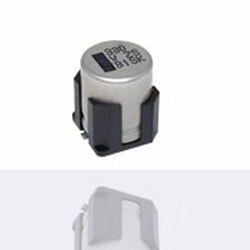 Available now from TTI Europe is the new Panasonic ZS Series Conductive Polymer Hybrid Aluminum Electrolytic Capacitors. These capacitors are capable of running at high temperatures with conductive polymer capacitor performance and aluminum electrolytic capacitor safety in a surface mount package. The capacitors can provide 4,000 hours at 125C and able to withstand a higher ripple current and large capacitance. Being AEC-Q200 qualified assures optimal quality and reliability. Typical applications for the device includes automotive, industrial/communication, DC-DC converters, and AC/DC converters.